CLICK HERE TO VIEW THE REST OF THE PHOTOS. Thank you TGCHS for inviting me to your reunion. Nice group of people and great food too catered by manang Vangie Acosta of Barangay Del Pilar. More power to you TGCHS Batch of 1967. I just want to share a photo of the Santa Lucia Catholic School sixth graders at their one day retreat in Tagudin at Seaside Park. Mass Service for the Santa Lucia Catholic School sixth graders one day retreat at Seaside Park in Dardarat, Tagudin with Father George Tabangcura, Sister Pura Camandono, Sister Marife Gonzales, Sir Emil Bunnol and Sir Andrew Joven. Thank you Sister Pura, Sister Marife, Father George, Sir Bunnol and Sir Joven for inviting me attend the mass service. It was also nice meeting you all. Happy Valentine’s Day to all our kababayans out there. Naragsak nga Aldaw iti Puso kadakayo amin nga kakaillian tayo sadino man a paset iti lubong iti ayan yo. Just to share pics of a “tinubong” that was brought to me by a friend from Tagudin. It was a left over from the “panagtitinubong” they have this year in Tagudin. This has to be one of the best I had in awhile. It is a tradition for Tagudinians in Tagudin to make “tinubong” every January. It serves as an offering during the Thanksgiving Mass for good harvest. It actually tastes like “tikoy” a certain type of rice cake that the “Tsinoys” (Chinese-Filipino) in the Philippines make during Chinese New Year. The difference is tinubong has coconut in it. Years of the Rooster include 1933, 1945, 1957, 1969, 1981, 1993, 2005, 2017, and 2029. I was browsing the internet and I came across this article from the The Philippine Daily Inquirer regarding Capillaria or Capillaria Philippinensis by Ching D. Aunario. I am sure a lot of you remember this disease that afflicted many Tagudinians in the past. It was an unknown disease which claimed the lives of many people especially in the western part of Tagudin. People were dying left and right in Tagudin until Dr. Urbano Dauz and fellow researchers identified the parasite that was causing malabsorption in the guts of patients suffering from the disease. The research eventually led to the containment of the disease through certain medications specifically known to target the organism. The disease had its peak in the early 1970s. These days, the disease is now under control and nobody dies anymore due to Capillaria if treated early. The people of Tagudin are forever grateful to Dr. Urbano Dauz and his fellow researchers Dr. Benjamin Canlas Jr. and Dr. Benjamin D. Cabrera. Tagudinians are very proud of you. By the way Dr. Urbano Dauz or Banong as his friends and relatives which includes yours truly call him is an alumnus of Tagudin High School. It is with joy and gratitude that we congratulate the members of UP College of Medicine Class 1966 on the occasion of their golden anniversary. The people of Tagudin, Ilocos Sur, are very grateful to the class, especially to Dr. Urbano Azurin Dauz who helped save lives in our town from a then unknown disease. In 1967, Doctor Dauz, a fresh college graduate who newly passed the national board examination for physicians and a medical resident of UP-PGH, together with his former professors, Dr. Benjamin Canlas Jr., then chair of the Department of Pathology and Dr. Benjamin D. Cabrera of the Department of Parasitology, researched, discovered and published their joint work about an, until then, unnamed species. It would later be classified Capillariasis philippinensis (Acta Medica Philippina, 1967) and recognized as such by the Center of Tropical Diseases. It was then a mystery disease that had claimed many lives in Tagudin, characterized by a “debilitating illness with malabsorption symptom. Requests for our clinical abstracts came most notably from the Library of the Center for Tropical Diseases. It [discovery] also earned first place in the PMA [Philippine Medical Association] Research Awards in 1967.” (UPCM Class 1966 Golden Anniversary Yearbook). Eventual cure came after the parasite was identified. Today, Tagudin General Hospital and Capillariasis Center treat patients suffering from the disease, here and abroad. The town of Tagudin will always be grateful for the timely research and eventual cure of the disease that is saving many lives. Born to a large family of humble parents who were public school teachers, Doctor Dauz is a graduate of Tagudin Provincial High School. He strived to be a university scholar to finish medicine. The pioneering and excellent work that he and his esteemed professors selflessly and perseveringly devoted to the research work on Capillariasis speaks well of UP College of Medicine’s high quality of education in upholding the sanctity, dignity and respect for life. More information regarding Capillaria Philippinensis from Wikepedia. This is good reading for those of you who want to know more about the Capillaria disease. One of the “firsts” Tagudinians who were cured from the disease were Atty. Renato Fernandez and his father, the late Marcelino Fernandez. Larry, you may want to interview Atty. Rening. He resides in Baguio, and the last info I have; he is a Professor at St. Louis University in Baguio. He goes to Tagudin for short vacations. You may be able to obtain additional information from his sister, Catalina Fernandez del Rosario who lives in Tagudin’s Magsaysay District. Thank you attorney. I will try to see if I can at least interview manang Catalina in Magsaysay. That could be a good photo opportunity with the relatives and friends of the people who got cured from the disease. Isu nga dagitay mahilig iti kilaw, alwadan tayo laeng apo. Nasisiyaat sa no maluto laengen dagita nga kilawen. Ti laguip ko nga pakaalaam ti capillaria idi ket daguidiay kinilaw nga nakalapan ti tamnay aglalo daguidiay binantengan da nga karayan nga nagsardeng ti panagayus na. Species of fresh water nga makilaw would be the choros, bagsang, lagdaw ,ken pasayan nga maala sabangan, to name a few. Thank you attorney for that information. That makes sense. Fish has a greater chance of being contaminated from the other fish that are infected in a stagnant water than in a running water. Though there is now a cure, I wonder if they still have people in Tagudin who get infected with the parasite or has the parasite that causes capillaria just vanished from the face of the earth?? People don’t need to worry about it anymore?? Perhaps the Tagudin General Hospital and Capillariasis Center in Barangay Bio can answer those questions. Every beginning of the year a lot of us make a New Year’s resolution list and top of of our list is usually to lose weight. I think the main reason why we gain weight has something to do with our food intake – not watching what we eat, overeating and not having enough exercise. Avoid foods with high calories. You probably already know what these are I am sure – junk foods we buy at fast food restaurants, meat or anything with a lot of fats particularly saturated fats, heavy starch (complex carbohydrates such as rice, bread,pasta, etc. ) which not only causes you to gain weight but could also raise your blood sugar to dangerous levels. Of course, you can still eat any of these foods and include them in your diet because our body still needs some of these foods after all. However, we have to be more careful and I believe the key is moderation. Eat nutritiously so our body can get all the nutrients it needs in order for it to function properly. Each time we prepare our meal, think about the food pyramid comprising of the six basic food groups that we’ve learned in school when we were young because it is still important and relevant to this day if we want our body gets all the nourishing it needs in order for it to function properly. What is in the food pyramid makes up what they call a balance diet. Eat a lot of fruits and vegetables because they are high in fiber which aids in digestion, loaded with antioxidants and vitamins, low in calories , and they do not raise blood sugar that much and as fast. Also, avoid too much sweets (sodas, fruit juices, cakes, candies, ice cream, etc.). Another culprit is drinking too much alcohol especially beer and hard liquor. Red wine can be okay for studies say that it might be good for the heart but like the others, don’t over do it. Isu nga dagitay lechon, sinanglao, pinapaitan, sisig ken dadduma pay, sagpaminsan laeng wenno saan nga ad-aduan tapno sigurado nga saan nga dumagsen iti timbang tayo ken tapno saan nga ngumato iti cholesterol tayo. Nasisiyaat payen tay dinegdeng nga adda bassit sagpaw na no saan la ketdi nga na-apgad unay ken datay tinuno nga kinamatisan. Just my opinion apo. There are also other things such as the ones mentioned in this article below from the The Philippine Daily Inquirer why people gain weight. A few days after the new year, a middle-aged patient came back to our clinic for follow-up, around six months after her last. Based on her chart, her weight increased from 55 to 66 kg. Her body mass index (BMI), a measure to determine if one is overweight or not, increased from 24.8 to 28.9, a jump from just being marginally overweight to significantly overweight, bordering on obesity. She admitted having thrown caution to the winds during the holidays, and made a firm resolve to lose the extra pounds she gained. She thought ballroom and Zumba sessions would work, but apparently they didn’t. Probably one of the most popular New Year’s resolutions is to lose weight. It can be truly challenging for many people to lose weight permanently. Some fall into the “yoyo” trap—they lose some pounds after strict dieting and exercise, then gain back more than what they lost after a few days of binge eating. Watching the numbers on the weighing scale gradually creep upwards can really dampen our spirits. In most instances, it’s a matter of supply and demand. We shouldn’t gain weight if we spend more calories than we’re taking in. But if we take in more calories (by over-eating) than we’re losing through exercise, then we have to make a more serious effort to address this problem. 1. Unmanaged stress. Everyone is exposed to stress, but some people manage stressors more effectively than others. It’s not the stressor, but how one responds to it. When stress is not managed properly, our bodies shift to a survival mode, and release the stress hormone cortisol. An effect of cortisol is increased appetite, the reason some people instinctively resort to what they call “comfort food.” Usually, high-calorie food like chocolates, candies, ice cream and the like seem to offer more “comfort” than healthier options like fruits and vegetables. So, one shouldn’t wonder why one is gaining weight during stressful times. 2. Sleep deprivation. Lack of sleep due to insomnia may come with stress, but in some instances, it may simply be because one does all sorts of things instead of going to bed early. Television, Facebook, gadgets are distractions of the modern world that make us stay up late without us realizing that we’re trading in good sleep for these distractions. Scientists tell us there are two reasons why sleep-deprived individuals gain weight. First is the release in hormones that increase hunger and decrease satiety, the feeling of fullness after eating. Second is that when we’re up late, we tend to take more snacks than we should. We don’t only lose track of time; we lose track of what we’re eating and drinking. 3. Medicinal drugs. There may be drugs, including prescription drugs, that can make one gain weight. These include steroids, anti-arthritis drugs, antidiabetic medications, antidepressants and other drugs for mental problems. Steroids, anti-arthritis and some antidiabetic drugs can make one gain weight through salt and water retention. This side effect is aggravated if one eats salty food, including instant meals and canned and processed food while taking these medications. Antidepressant and other antipsychotic products may also cause hormonal changes which can increase one’s appetite, although it is also possible that improved emotional well-being can lead to better appetite. Depression, by itself, may also cause weight gain. So, it’s really best to increase physical activity and exercise, which will not only burn excess calories, but will also release feel-good hormones to improve mental and emotional conditions. How about contraceptive pills? Some are quick to blame them for any increase in weight. Combination estrogen-progestin pills may cause some weight gain initially due to salt and water retention, but studies have shown that this effect is only short-term and usually dissipates with time. If one continues to gain weight more than six months after taking contraceptive pills, she and her doctor should look elsewhere for a reason. 4. Concomitant medical conditions. Medical conditions like hypothyroidism (or an inadequately functioning thyroid gland), Cushing’s syndrome and polycystic ovary syndrome (Pcos) may cause weight gain ins some. Our thyroid is the butterfly-shaped glandular organ just below our Adam’s apple. When it’s hyperfunctioning, one loses weight despite increased appetite. When it’s hypofunctioning, one tends to gain weight despite a limited intake of calories. A hypothyroid individual also feels sluggish, tired, cold and weak. This is because the low levels of thyroid hormone slow down one’s metabolism, leading to weight gain and decreasing energy. This can be treated with medications, reversing the weight gain and other symptoms. Cushing’s syndrome is an abnormal condition which increases the level of the hormone cortisol. It may be due to a tumor of the adrenal glands, or it may be drug-induced, like in those taking steroids for bronchial asthma or allergies. It has a peculiar type of imbalanced weight gain, usually prominent around the face (moon faces), neck, upper back or waist. Pcos occurs in women during the child-bearing age, wherein multiple small cysts form in the ovaries. This also results in hormone imbalance, and one of the complications is resistance to insulin, so PCOS patients tend to develop diabetes. They gain weight, especially around the belly (visceral obesity), a cardiovascular risk factor, since hormones predisposing one to heart attack and stroke may also be released. Can menopause cause weight gain? This is a common belief, but it may not be due to the menopause per se, but the aging process and a decrease in the body’s metabolism. Some women also tend to be less active physically after menopause—hence, the tendency to gain weight. When one quits smoking, it may be true that some weight gain may be expected initially due to increase in the sensation of hunger, but this should not be a reason to resume smoking. The weight gain is only short-term, and may no longer be significant after a few months. Definitely, the hazards of smoking are more than a hundred-fold compared to the health risk of gaining a few pounds. Renowned Chef, author and TV personality, Anthony Bourdain covers the Philippines for his show on CNN, Anthony Bourdain: Parts Unknown. He did a series on the Philippines before but went back to the country and did another series which I think is equally enjoyable to watch as the other one. In this series, he got to try Jollibee, halo-halo, sisig and mingle with the people and hear their stories about their lives and aspirations. The topic of OFW (Overseas Foreign Workers) was also mentioned here in great detail since it affects almost every Filipino family. Going overseas for work is the only way out of poverty for many families in the Philippines but sadly it also separates families. Someday somehow Filipinos would not need to go overseas for work anymore so Filipino families would stay intact. Regardless of any hardships and conditions that Filipinos are in, Filipinos are always happy as you see in this video. Thank you Mr. Bourdain and CNN for the wonderful series about the Philippines. Naimbag a Paskua ken Naragsak, Nagasat,ken Nasalun-at a Baro Tawen kadakayo amin apo. Enjoy the Christmas Music at the playlist. If you have anything to post regarding our community please feel free to post it here and if you need help in posting, you can contact me at mails114-seasidepark@yahoo.com. Sapay coma Apo ta daguiti tarigagay yo datoy na[alabas nga Pascua ket pimmayso. Ket babaen ti asi ken saranay ni Apo Dios inkay to mabendicionan ti agnanayon ken masagrap yo ti ginawa ken salunat nga isangbay daytoy umay nga baro nga tawen. I posted a nice photo a way back of the this bridge project in Sawat, it was a project with good intention by the administration of Barangay Sawat however after super typhoon Lawin which was probably one of the strongest and most devastating typhoons that hit this part of the country, this is how it looks now. The people around the area became very nervous because the flooding went through areas where it never usually flood. Aside from the flooding, a lot of houses were damaged due to the hurricane-like wind that passed through the area. It uprooted a lot of rooftops. Sawat became like a war zone after the typhoon. Going back to the bridge project, what went wrong? Obviously, the design of the bridge is not the right design for this kind of terrain. During heavy downpours especially during the typhoon seasons, debris and large volume of water coming from the mountains and everywhere cannot pass through the bridge’s small tunnels and as a result widespread flooding happens in Barangay Sawat and the neighboring barangays . I’ve heard that some people and the officials from the barangays have filed a complaint about how the bridge was built but I hope that they will work together along with the officials of the town to find a win-win solution to the bridge problem instead, and this has to be done as soon as possible because a strong typhoon can pass by our town at any time. We could lose a lot of precious lands if we do not do anything to resolve the problem in the area. This post is a little late since the late president Ferdinand Marcos’ burial happened a few weeks back but for the Ilocano folks out there who would want to see the video in this blog, here it is. I am also including some of the video clips related to the burial of the late president. May you rest in peace Apo Lakay as the Ilocanos call him. Cablaawak amin nga cacailiak ti Naimbag nga Pascua ken naragsak nga baro nga tawen. May the good Lord Bless you this Christmas season and provide you abundance in the coming New Year. Hi Manong Romeo, sorry that I was not able to post your messages on time. I did not know that there were messages waiting in the queue from you. Usually when you are just replying to a message, the blog would send an email to me. I would post the message right away when I see it on my CP but for new messages I would have to log in to the blog admin panel to see the messages. I have not logged on for awhile for I have been a little busy lately. However, this time I will try to check the messages more regularly so I can post them on a timely manner. Happy Holidays to you too and your family manong Romeo. Naimbag a paskua. Larry, did you come across and article dated Nov. 18, 2016 written in the Philippine Star about the suspension of Mayor June and Councilor Arthur Chua concerning their actions of not permitting quarrying in Tagudin despite the issuance of a permit by the provincial govt and the Environment Department?m It was supposed to be for 2 months. Have you heard any reactions to the suspensions from the “umili”. Hi Atty. I heard about it. I saw some supporters of the mayor in front of the munisipyo when I passed by it a few times but things have been pretty quiet in general. Hopefully everything will be resolved. The town needs the mayor. Here is the article from The Philippine Star. VIGAN CITY, Philippines – Tagudin Mayor Roque Verzosa Jr. and Sangguniang Bayan member Arthur Chua were suspended by the 12-member Sangunniang Panlalawigan of Ilocos Sur for two months for refusing to acknowledge quarry permits issued by the Environment department and the provincial government. Noreen Sibayan, Gemma Tiu, Joel Pastores and Provincial Environment Officer Raymund Sinay sought the officials’ suspension before the provincial board because they believed the town mayor and SB member committed grave misconduct, gross insubordination, abuse of authority and conduct unbecoming of public officials. After the complaint was filed against the two, the Sangguniang Bayan of Tagudin issued a resolution directing an immediate halt to quarry operations along rivers in the town. However, the provincial board turned down the resolution, seeing it as a move to get back at the complainants. Ilocos Sur Gov. Ryan Luis Singson ordered Mayor Verzosa and SB member Chua’s suspension Wednesday after receiving the recommendation of the Sangguniang Panlalawigan. 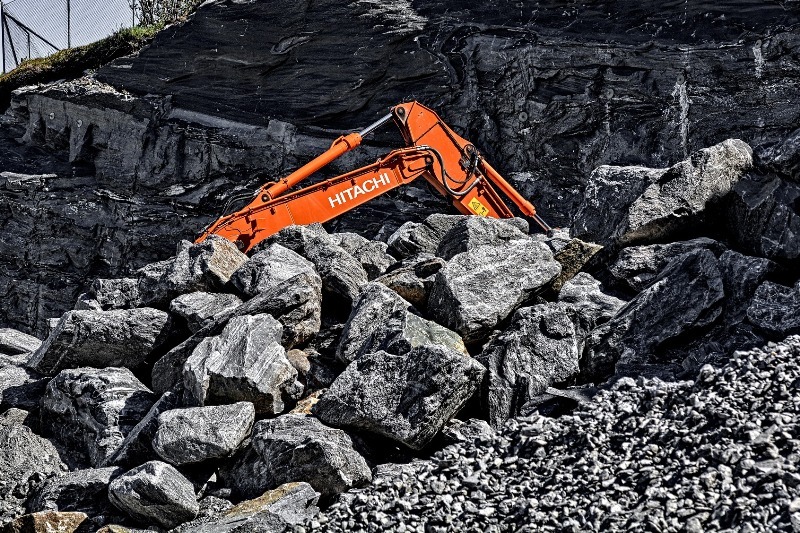 “Under the Local Government Code, it is the province that has the authority to cancel or revoke the quarry permits that have been legally issued and not the municipal mayor,” Gov. Singson said, adding Mayor Verzosa clearly abused his power by stopping quarry operations. My understanding was the lawyers of the mayor went to court for a TRO. Whether that was granted or not, I have no idea but it seems that things have quiet down since then. My understanding is that there was some kind of an agreement between the 3 agencies involved with the municipality. The problem it seems was that the permittee never cleaned their mess every time they do the digging, and that was not what has been agreed upon, i.e. clean up should be done by the permittee not the municipality. Thank you for the update attorney. Here is some corrections on previous posting. The RTC decided in favor of the mayor and SB Chua. The mayor then filed a complaint with the Ombudsman against the governor and provincial board for abuse of authority. The Duterte Adminisration could be doing something right. That is a very respectable growth for the Philippines. I just hope that the momentum will be sustained. I think the Philippines started growing during the Arroyo Administration then maintained by the Aquino Adminisration. Good job Philippines. Hopefully this growth will trickle down all the way to the poorest of the poor. The economy grew 7.1 percent during the first three months of the Duterte administration, the Philippine Statistics Authority reported Thursday. The gross domestic product (GDP) growth in the third quarter was faster than the 7-percent expansion in the second quarter as well as the 6.2-percent growth in the third quarter of last year. In our last stay (Oct.28 & 29) at Seaside, we are very sorry we did not get to meet you when you visited us in our room. We were still at the “ili” when you dropped by. This is our 2nd stay at your facilities, and let me tell you, there seems to be a continuous changes/improvements for the better at Seaside. The staff are very courteous, caring and very well trained and extremely professional.. I won’t hesitate to recommend to our vacationing Tagudinians and other tourists that they seriously consider staying at your facilities. The rooms are quite comfortable, very clean and Seaside is quite accessible to the national highway. All I can say is that because of the very pleasant experience we had in our 2 previous stays, we will again, for sure, be staying at Seaside at the next go around. And before I forget, the price is quite reasonable (see the published rates) for the services and facility your guests will get.Thank you very much Larry. More power to you. Thank you for the nice compliment manong Romeo. The staffs were also very happy to see you and your brothers. Thank you kano diay tip da nga inted mo. You were very generous to them. You are welcome anytime at Seaside Park manong. Maybe next time I will get to see you and your brothers. Thank you again. Tagudin Town Fiesta is just around the corner (First 10 days of May?).. Seaside will always be there in my mind. Thanks Larry. The National Highway going through Tagudin is being widened. The DPWH has an ongoing project to widen the National Highway in Northern Luzon. It has been going on for number of years now. From what I remember since I do use the highway for my trips between Tagudin and Manila, the widening in Northern Luzon started in Central Luzon around Tarlac and Pangasinan area. A lot of trees along the highway in Tarlac and Pangasinan were cut down to make way for the widening. Some groups of environmentalists tried to stop the cutting but they did not succeed. I do hope though that the additional lane will not be used for people’s parking, for drying grains, or for even building illegal structures. This is what is happening at the moment it seems like. With the worsening of traffic in the provinces, the government should be very strict that the additional lane will be used solely for vehicle traffic. It is not only for the improvement of the flow of traffic and faster travel but for the safety of all motorists and travelers using the highway. Since the expressways are expensive (roughly around P500 pesos toll from Urdaneta to Balintawak), the highway could also be a good option for motorists when traveling in Northern Luzon as long as it would be managed properly by the government. Attention Farm Lovers: a 22,329 sq. m. farm land is up for sale located in Tagudin, Ilocos Sur. Inclusive with 1 residential house, 3 bunkhouses, 3 eqpt. houses, 1 stack house, 1 goat house, 1 fishpond, 65 full grown mangoes, 3,000 Mahogany trees, 8 Sagat trees, 11 Narra trees, and various fruit bearing trees. Any interested buyers who want to retire/live in Philippines or anyone out there who wants to own this farm property in in Tagudin should give their email address and phone numbers to the Administrator of this site – mails114-tagudinseasideadministrator@yahoo.com . The farm owner will contact you personally. I am sure many Ilocanos as well as the loyalists all over the Philippines are happy with this news. It is about time that this issue about where the late president will be buried is put to rest for once and for all. It has divided a lot of Filipinos for so long. It is time to move on. The Supreme Court has allowed the burial of former dictator Ferdinand Marcos at the Libingan ng mga Bayani (LNMB). Voting 9-5, the high court dismissed the petition filed by human rights groups and victims of martial law. 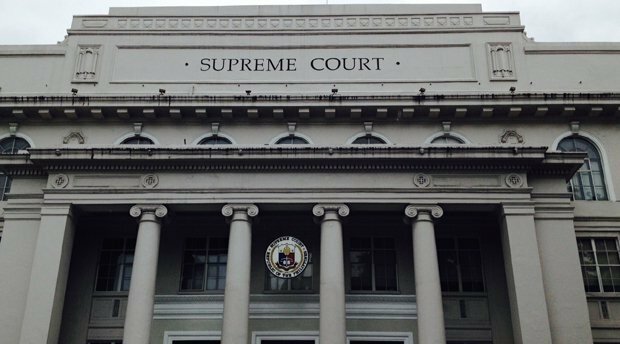 The nine justices were Associate Justices Arturo Brion, Presbitero Velasco Jr, Diosdado Peralta, Lucas Bersamin, Mariano del Castillo, Jose Perez, Teresita de Castro, Jose Mendoza, and Estela Perlas-Bernabe. The five justices included Chief Justice Maria Lourdes Sereno, together with Senior Associate Justice Antonio Carpio, and Associate Justices Marvic Leonen, Francis Jardaleza, and Caguioa. There were seven petitions that challenged the executive department’s decision to allow Marcos’ burial at LNMB. The petitions were filed by former Bayan Muna party-list Rep. Satur Ocampo, Albay Rep. Edcel Lagman and former Commission on Human Rights chair Etta Rosales; a group led by former senator Heherson Alvarez; a group of University of the Philippines students; and former Autonomous Region of Muslim Mindanao human rights chair Algamar Latiph and Senator Leila de Lima. Go vote on November 8 and vote wisely. Here is something that you might want to go see this week in San Francisco if you live or happen to be visiting SF Bay Area. Usually, tickets get sold fast for these Philippine films so it is a good idea to buy tickets in advance if you plan to go see any of the movies being shown in the festival. Support Philippine films. SAN FRANCISCO – This year’s Cinemalaya festival best film, Eduardo Roy, Jr.’s “Pamilya Ordinaryo” (Ordinary People), an urban drama about teenage parents in the streets of Manila, will open the 23rd Filipino American International Cine Festival (FACINE/23) on Wednesday, Oct. 19, at 7 p.m. at Roxie Theater 3117 – 16th Street. Closing the festival will be San Francisco’s own Matthew Abaya’s “Vampariah,” a horror adventure film about Philippine mythical aswang (female vampire that appears as segmented creature) on Saturday, Oct. 22, at 9:00 p.m.
Co-presented with the Philippine American Writers and Artists, Inc. (PAWA) and sponsored by The Filipino Channel (TFC) and INQUIRER.net, FACINE’s opening ceremony is on Oc.18 at the Diego Rivera Theater, City College of San Francisco with a lecture by Prof. Joel David, FACINE Gawad Lingap Sining honoree. Film screenings will run Oct. 19-22 at the Roxie Theater, 3117 – 16th Street, San Francisco. Major Community Partner is the Philippine Studies Department, City College of San Francisco. For more information and full program schedule, see website: http://www.facine.org. For further information, email: mtumbocon@gmail.com or text: 415-410-9566 or tickets purchase, check website: http://www.roxie.com, festival passes and group rates available. Diego Rivera Theater, City College of San Francisco. A young man develops a close relationship with an old poet, a coming-of-age tale, a tribute to a forgotten art (Pampango poetry) and an ode to a great culture. A gigolo is possessed by a gay entity after he deceives a closeted gay lover; a priest is tasked to exorcise the spirit out of him. A young girl struggles with head lice, school bullying, her self-determination helps her beat the odds. ODA SA MGA NANGANGARAP [ode to dreamers], Directed and written by Jan Michael C. Jamisola (22:13 min, in Tagalog with English subtitles, Philippines, 2016): Experimental narrative. Stars Karl Medina. An out of work comedian finds a machine capable of recording ideas, taking us on a journey through his mind. IT RUNS IN THE FAMILY. Directed and written by Joella Cabalu (45 min, OUTtv/Meaningful Films, Canada, 2015). Documentary. A young gay Filipino Canadian travels from Canada to the Philippines to meet his other queer relatives, how their lives resonated to their Catholic upbringing and family. Philippine National Artist for Literature, Nick Joaquin, will only accept the National Artist from the Marcoses on the condition of the release of a political prisoner-poet from detention during martial law. Her kitchen is one silent witness to the life and times of Juanita, her sanctuary where she creates dishes for her family, her friends and even, her enemies and strangers. Mahal is a part of an elite squad of skilled hunters responsible for keeping the world safe from vampires and other creatures of the night. Winner Best Visual Effects for a Feature Narrative Film in the Los Angeles Asian Pacific Film Festival 2016. Hillary Clinton cemented her lead with this debate but anything can still happen until the Novermber 8 Election. Condolence to the family of the late Senator Miriam Santiago. People say that Miriam was the best president that the Philippines never had and I do agree on that. She will be missed. She was one tough senator but at the same time she was also the one who made the Senate alive during her time in the Philippine Senate. She was very entertaining. She loved the country that even when she was already in the late stages of her cancer, she still wanted to serve the people by running to be the president of the Philippines. While battling cancer, she was writing and passing laws. In fact, she has more laws credited to her more than a lot of her colleagues in the Senate. So long Senator. The Filipino people will always remember you as the brilliant, feisty, hardworking senator who did a lot of good things for the good and betterment of our country. We thank you. I think Hillary won this first round. What do you think? Let’s see what happens in the next debates. Most americans agree with you. She was prepared, presidential like compared to Trump that keeps on interrupting her, unable to directly respond to propounded questions. He was like a kid unable to grasp the situation and properly react to it. I like Gary Johnson but when he displayed his lack of knowledge on current events and geography (Where is Aleppo? ), it has now become the choice of the lesser evil. Unlike the past Philippine elections, we had a lot of choices. Though I know she will lost but being the most qualified, brainwise and experience, I voted for Miriam (God bless her soul. RIP Miriam).